Busy times while the weather is good and so it will take me time to update this website. So far I have split it into three pages and I won't be able to post it on the dates I write at the top... Oh well let's see how it goes. 12th September I walked to the bus stop in the early morning drizzle, waited a while for the bus to Guildford Centre standing under a bush for some protection from the damp. I only had my backpack and one wheelie case that I had paid £14.70 to put in the hold when I checked in on line. WestJet from Gatwick to Vancouver, one way = £253.93. You have to wait until you check in online to pay for your checked baggage. I suppose this allows for a sudden burst of excess shopping. Gatwick is the most convenient airport to use for Guildford, I took the Great Western Railway train there passing through the green English countryside. The clouds were down on the top of Box Hill after passing Dorking and the drizzle was steady. At Gatwick the sky was clearing and my flight took off on time, and arrived on time at Vancouver as the rain was likewise clearing eastwards from there. On approach to CYVR the previous day I saw this fire between the rain clouds. It was still burning the next day as pictured from the Warrior. Fires are a feature of this year in BC. 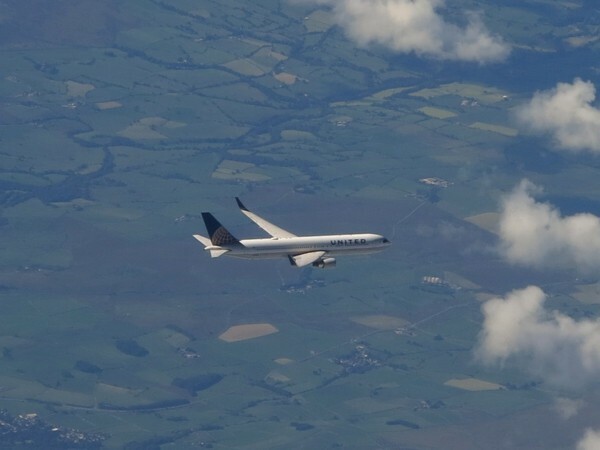 My last logged flight was 13th August... 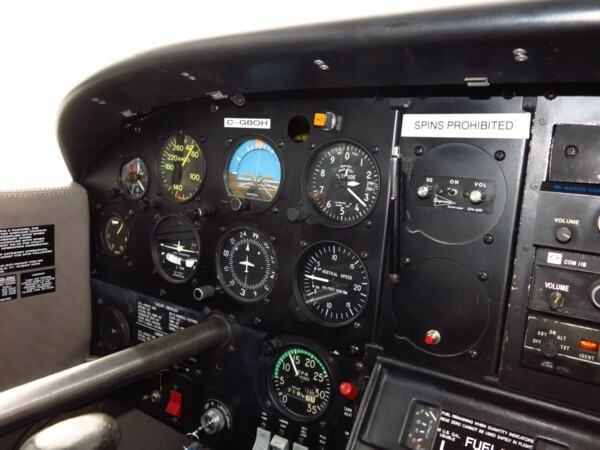 I had a flight in the Piper J3 out of Pattaya with one of the three landings being mine, but in the world of licensing this would not be legitimate to log. I had one flight in a Tiger Moth from White Waltham and likewise though I did a few turns, not my place to log the flight. I've done many 'hours' this way, good experience, but nothing in the book. 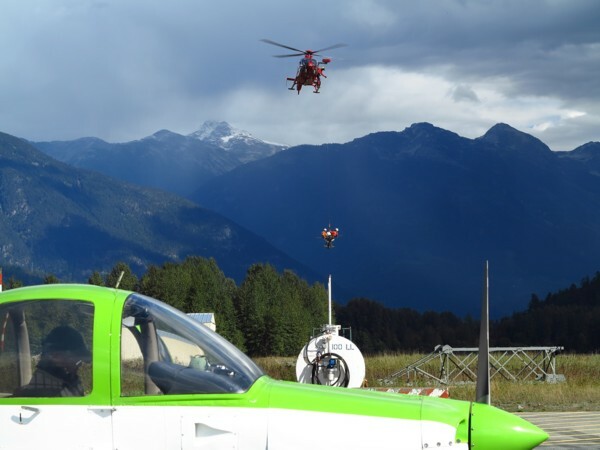 So here we were, 13th September, up in the Warrior as per the previous log entry, with Emidio again to do some exercises in the Pitt Lake practice area. I'd kept my promise to bring some sunshine from England to Vancouver that had had a few weeks of bad weather since I'd left a month before. 14th September. I am on UK biological time, and so I get up early and go for a walk around Minoru Park in Richmond. It could be Hong Kong with Chinese walking the park and doing their Tai Chi exercises in places. I am told I am fat, and indeed I have put on a little weight and so I should do these walks more often and eat less! The Samsung health app shows me in the yellow warning zone! At Sywell I was bemused by the state of many of my grey haired compatriots who would not fit in the little aeroplanes they use to fly thirty years ago. If we want to fly our whole lives we need to stay fit and within weight and balance. Here in Canada the Tomahawk is work in progress as it has suffered from many minor snags since its resurrection. Today Daryl and I tried out the new brake disks and did 6 circuits followed by a short local flight to do a few steep turns and stalls. 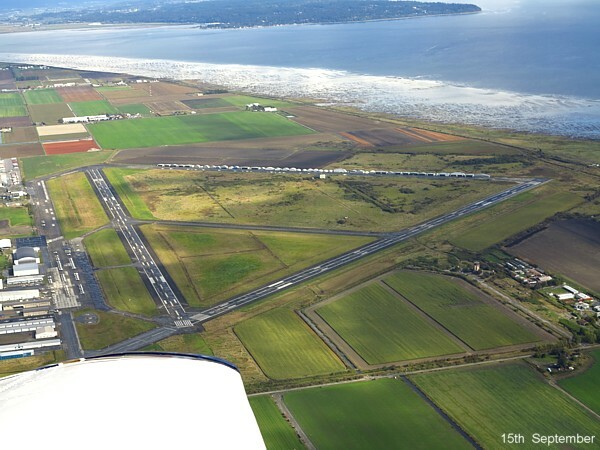 Warming the Warrior's engine for an oil change; flying overhead Boundary Bay. I like testing overhead the field. 16th September. 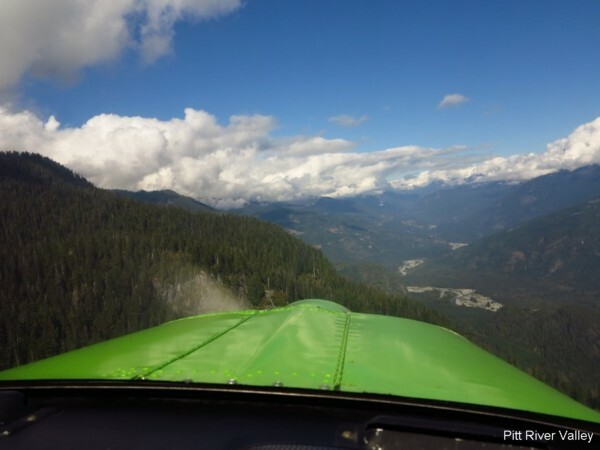 Taking my brother Gary to Chilliwack in the Chipmunk. 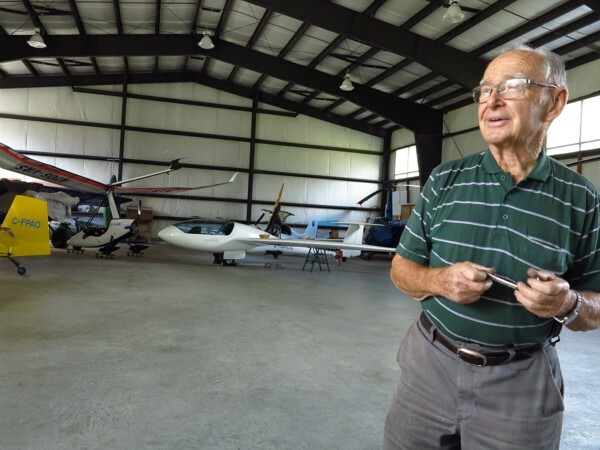 The prime objective of this trip was to put the Chipmunk through an annual check and do some flying with its owner Ted. 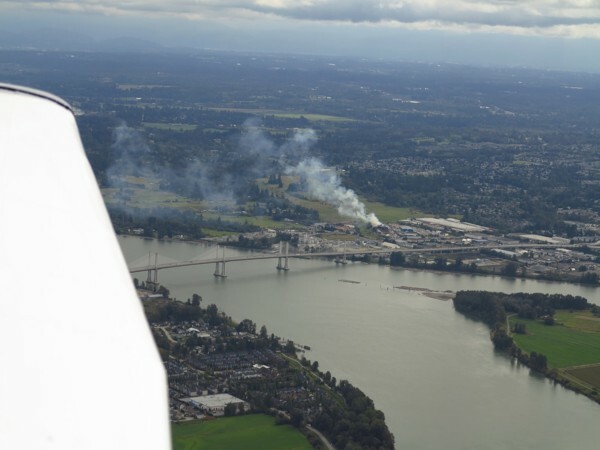 Sunday would be the day to take it to Abbotsford for Bakerview Aviation to start on it the following Monday morning. My brother also had to go to Chilliwack to pick up a Cherokee that was to have its annual done at Langley. 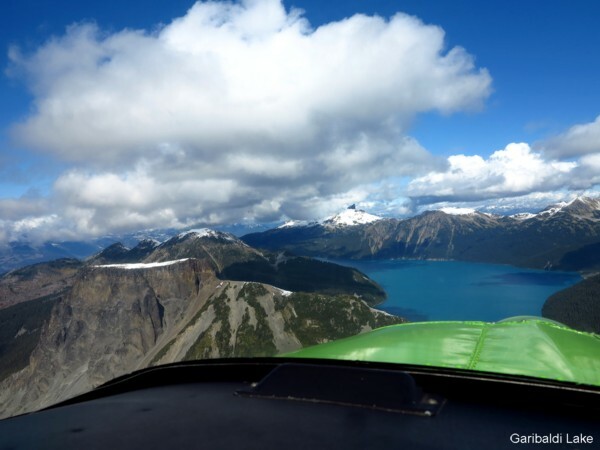 Ted kindly allowed me to drop Gary off on my way to Abbotsford, and then we would go for a flight afterwards... I knew this probably wouldn't happen as the day wears on, time runs out, and weather runs in. Heading into a TCU rainstorm at Abbotsford. 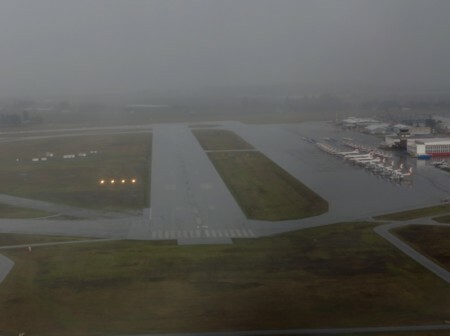 The weather did indeed run in as I departed Chilliwack. 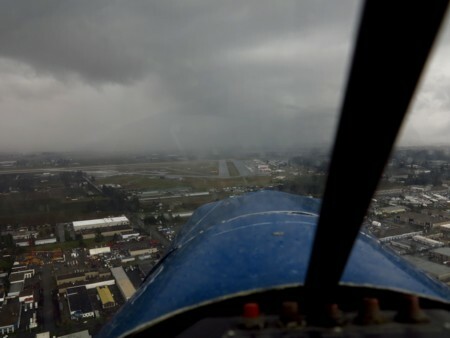 Turbulence from Sumas Mountain was moderate, and then I approached straight into the approaching storm at Abbotsford. The Sun came out after the deluge. Ted and I tied the aeroplane down in the rain... But soon afterwards the warm Sun emerged. 17th September. Steep turns, slow 'canyon' turns (2,000 RPM, 70KIAS, one stage of flap, 45 degrees bank and add power), and three spins in the Tomahawk. 18th September. 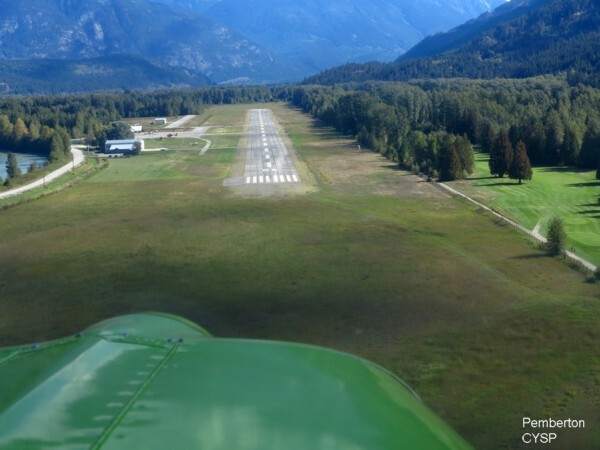 Steep turns, stalls, and PFLs in the Warrior in the Pitt Lake area. 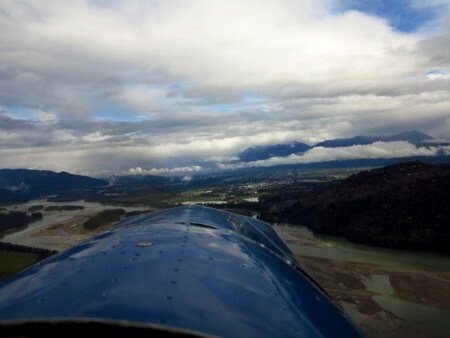 Heading up the Pitt River Valley, using the free lift available to soar up to 6,000 feet. Sometimes you need to be close to the mountainside to benefit from the lift available. As you close in the aeroplane will be rolled away from the ridge by this lift. Always approach at an angle that allows you to turn away from the ridge. 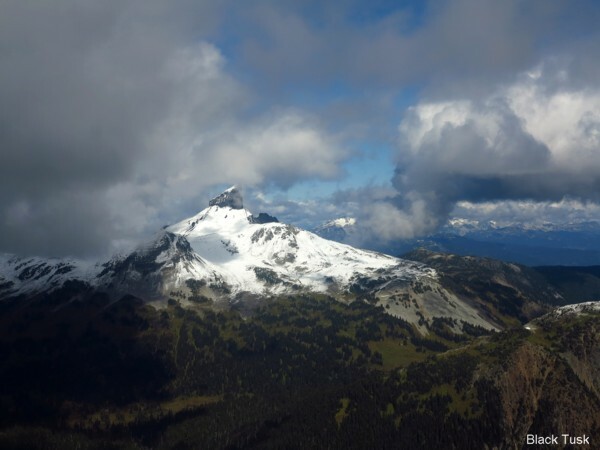 My favourite route to Pemberton via Garibaldi and Whistler. Taking the left valley to go past the table mountain. 6,000 feet altitude, all altitude gained for free. 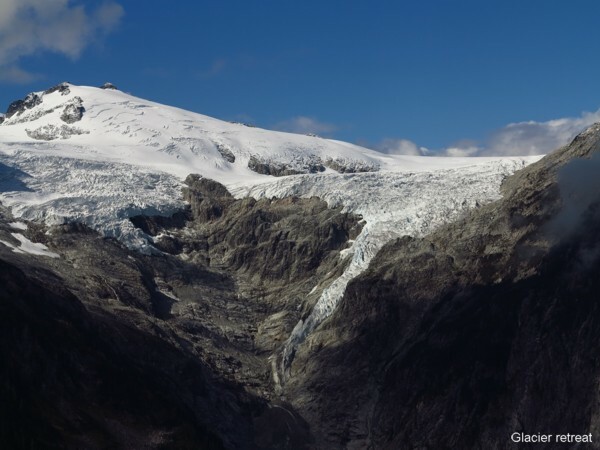 This is a favourite route, up the Pitt River, over Garibaldi Lake, and then past Whistler to Pemberton or to Squamish. 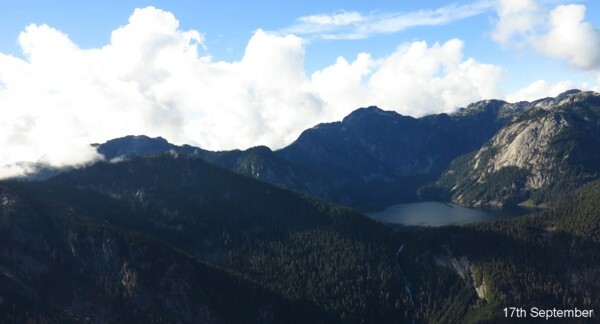 Another route is to Lillooet Lake which is also very scenic. At Pemberton you can walk to the Black Squirrel Restaurant at the nearby golf course for lunch. Peter Timm, still at it at 89. 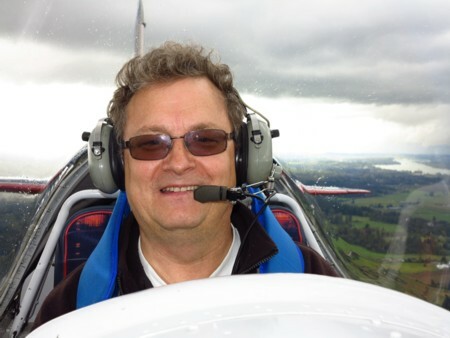 Peter is selling his monowheel Europa while keeping his Pipistrel Taurus motor glider. Precarious profession, dangling from a wire to attach their balls to power lines. Fish and chips at the Black Squirrel was followed by a flight to Squamish for tea. François managed to find a packet of cookies to accompany the tea I made, and there was milk in the fridge! Heading back after tea at Glacier Air, Squamish. 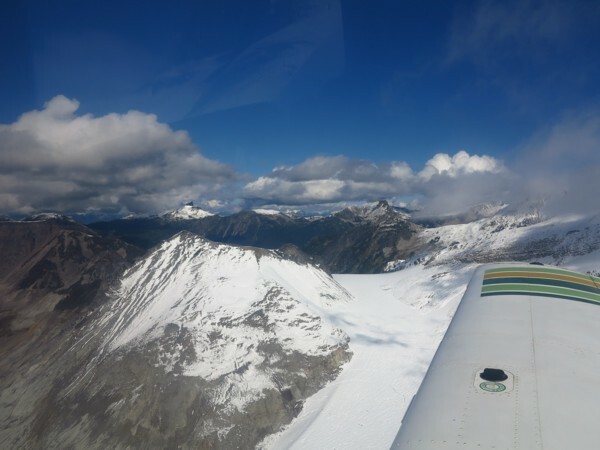 The flight from Squamish to Boundary Bay was via the Indian Arm Valley and the Fraser River. The next two days were like October: cold, wet, and miserable.